NASA is finishing a three-week expedition in Silverton and Grand Mesa to develop techniques of measuring snow. 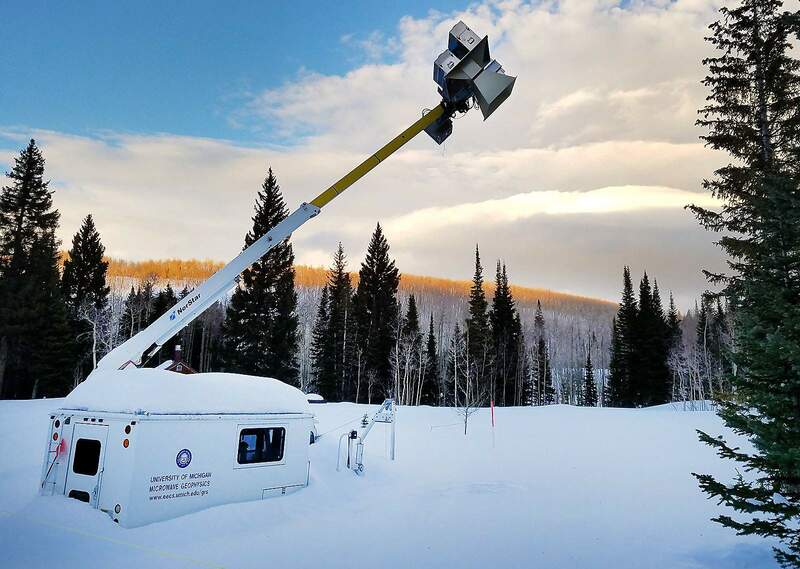 NASA’s three-week field study of snow conditions in the Silverton and Grand Mesa areas ends Saturday, after which scientists will analyze the data in an effort to develop satellites to provide snow observation data critical to water management. On Tuesday, NASA deployed three aircraft and had about 50 researchers on the ground for the last days of data collection. People throughout the snow research community from Canada, Europe and the U.S. volunteered their time for the effort. 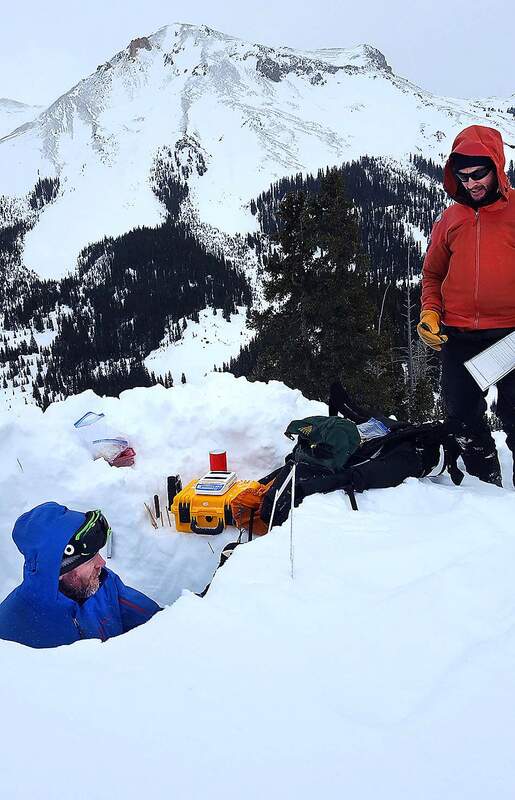 Researchers on the ground spent the past three weeks taking measurements, including the variation of snow depth, and digging snow pits to study the vertical structure and composition of snow layers from the surface to the ground. The team also mounted sensors to snowmobiles. The data collected on the ground will be compared to the accuracy of measurements taken from aircraft. “That’s really critical to understand what airborne sensors are seeing,” Kim said. Researchers used a combination of instruments to collect data on the snow, including radar and LIDAR, which stands for light detection and ranging, to measure snow depth and density, thermal infrared sensors to gauge temperature, and a hyperspectral imager and multispectral imager to measure how much sunlight the snow reflects and how fast it consequently will melt. NASA also used a passive microwave, which can gauge how much natural microwave radiation is blocked by snow. NASA’s goal is to use the research to develop a multi-sensor satellite to study snow and predict water content, which would be a watershed invention for science. Snow impacts drinking water, agriculture and industry across the globe, yet there is no comprehensive instrument to measure it. SnowEx is sponsored by the Terrestrial Hydrology Program at NASA Headquarters in Washington, D.C., and managed by NASA’s Goddard Space Flight Center in Greenbelt, Maryland. NASA’s Colorado expedition marks the first of a five-year snow study called SnowEx. Kim said NASA will spend the second year analyzing the data collected this month in the Senator Beck Basin, just north of Red Mountain Pass, and Grand Mesa, east of Grand Junction, as well as making plans for the final three years of the study. Kim said NASA’s conclusions over the next year from this winter’s study will determine the next steps. The economic value of reliable snow data, Kim said, is estimated in the billions in the U.S. The project’s first year cost about $4.5 million, and it is unclear what will be spent in the next four. NASA selected the Senator Beck Basin near Silverton and the Grand Mesa area to conduct research because the two areas offer varied terrain and snow conditions. Moreover, scientists want to develop an instrument that can observe snow hidden in forested areas. The scientists visited the two Colorado sites last fall to scope the study area and install temporary weather stations. NASA uses a passive microwave to figure out how much natural microwave radiation is blocked by the snow. Researchers collect data on the ground from instruments attached to snowmobiles and from aircraft for the five-year SnowEx study being conducted by NASA. 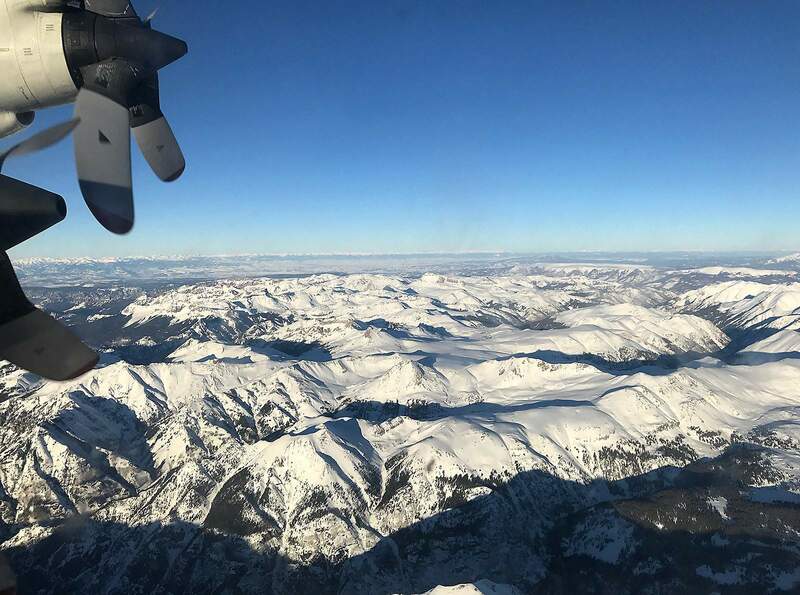 Researchers collect snow measurements from aircraft to compare to data gathered on the ground with the intent of developing a multi-sensor satellite to observe snowfall critical for water management. 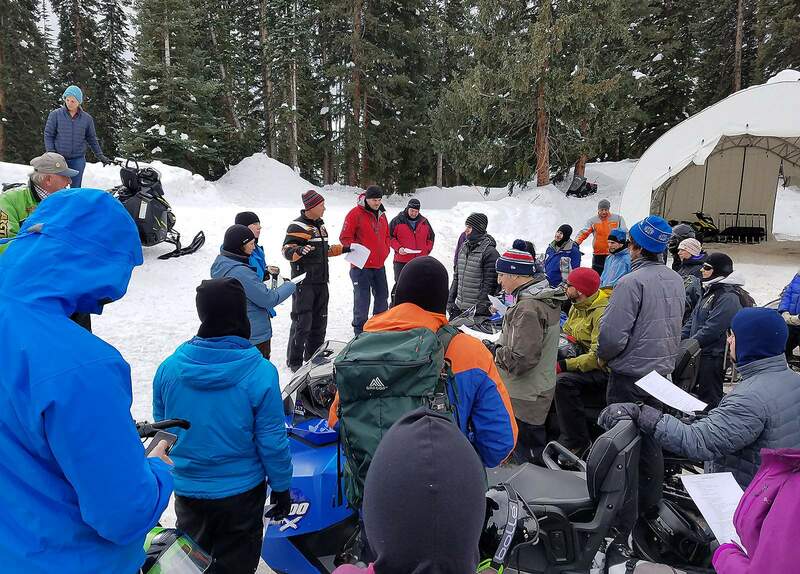 NASA’s three-week snow study in western Colorado in February attracted volunteers throughout the snow research community, including people from Canada, Europe and the U.S.